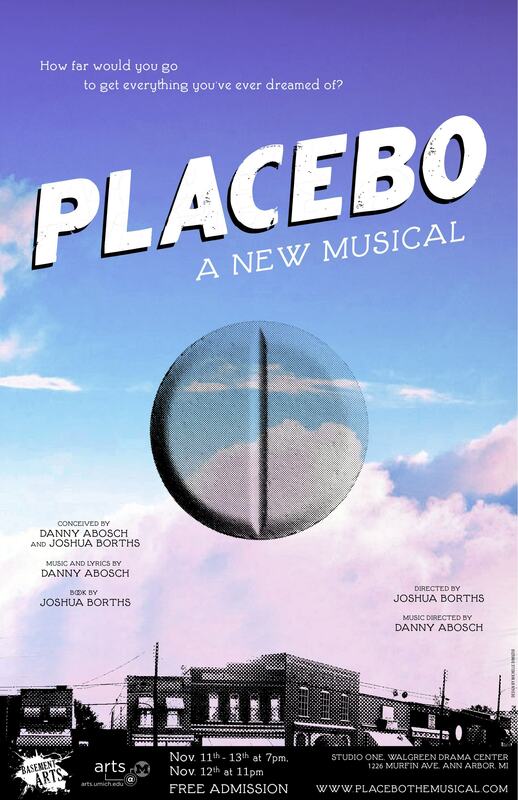 Jacob Porter and the Musical Theatre Society of Emerson College will be presenting a workshop reading of PLACEBO on May 1st, 2011 in Boston, Massachusetts. The workshop will be directed by Ryan McGovern and music directed by James Kennedy. The focus of this workshop will be to explore and develop the show through rehearsal, performance, and discussion. The cast and directing team comes to the material with fresh eyes; in fact the idea for this workshop originated from an Emerson student who came across the PLACEBO Concept Cast Recording on the internet and decided to pursue the possibility of mounting a workshop.